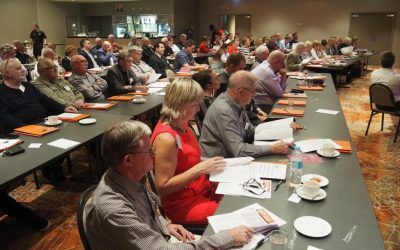 The Central Coast Not-for-Profit Series has encountered huge success since its debut in February this year, attracting close to 200 representatives from nearly 150 community organisations over three seminars, all aimed at enhancing and supporting the viable operation of NFP’s across the Central Coast. The fourth instalment in the highly-successful series scheduled for Tuesday September 18 at Breakers Country Club, Wamberal, focuses on managing the risks involved with financial reporting and audit in the not-for-profit sector. Forum Series Coordinator and Fortunity Business Development Manager, Yvette Wright, said this is a critical issue for non-profit organisations. “We recognise that it is not always easy keeping up-to-date with compliance and best practice in financial reporting and audit requirements, as constant legislative changes in the NFP sector means keeping on top of financial information can sometimes be a struggle,” said Ms Wright. Series partner, Regional Development Australia Central Coast (RDACC) Director Regional Development and Chief Executive Officer, John Mouland, said the numbers speak for themselves in highlighting the need for this kind of support in the NFP sector. “Given the Series has attracted close to 200 representatives from our local NFP community speaks to the need for a strong and supportive network for our local community organisations,” said Mr Mouland. “The Series has featured leading experts from across the country to provide the latest information to local NFP’s – with all feedback from previous participants being overwhelmingly positive. Guest speaker at the upcoming forum – former member of the AASB and Principal of GAAP Consulting, Colin Parker – said his focus is on helping organisations set their individual agendas to effectively manage financial risks. “GAAP Consulting is a network of independent experts recognised as some of Australia’s best accounting minds. We work with many major corporate, government and not-for-profit clients across Australia,” said Mr Parker. Following the Forum event, Mr Parker will also be running smaller, more targeted workshops for any organisations interested in a detailed look at how to implement the new accounting standards on revenue, leases and financial instruments. These workshops will be held on Wednesday September 19 at Erina and are also free of charge. The 2018 NFP Forum Series is proudly supported by Regional Development Australia Central Coast, Fortunity Chartered Accounting and Financial Planning, Central Coast Surf Life Saving, Coast Shelter, Central Coast Leagues Club, Davistown RSL, Brisbane Water Legacy and Community Transport Central Coast.